Does the Soterion hold the key to saving civilization? In a post-apocalyptic world where no-one lives beyond their teenage years, the mysterious Roxanne arrives in Cyrus’s village, fleeing the barbaric Zeds. She claims to be on a mission that can save them all, but can she be trusted? Cyrus joins her in her quest for the legendary Soterion, but the Zeds are determined to get there first. 5 Words: Hope, life, death, knowledge, power. I think this is one of those books you'll either love or you'll hate, and I think it will all boil down to how much you like actions scenes. Because this book is non-stop action. I would say that this book is a little more gory than I'd usually go for, but the easy-going style kept me reading. 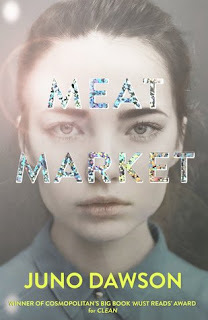 This is a quick book to read with its short length and fast-paced action, so I was able to kind of gloss over the gore in my head. And there are some very humorous parts to break up all of the tension. There was one stand out character for me: Taja. I honestly didn't think she'd be my cup of tea when first introduced, but I quickly fell in love with her toughness in the face of impending death. I like that we saw two parts of a crumbling society as the narrative shifted between the Constants and the Zeds, it gave me more food for thought. The rest of the series is out now, and I will definitely be reading on. While the Contstants struggle with the challenges brought by knowledge, the Zeds are massing against them, desperate for revenge. Will the Soterion be able to withstand the forces ranged against it... From without and within? A mutation in human DNA means no one lives beyond nineteen. 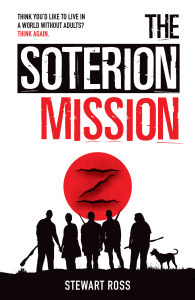 Scientists working to reverse this pandemic died before their Salvation Project was complete, leaving behind the results of their research in a sealed vault – the Soterion.